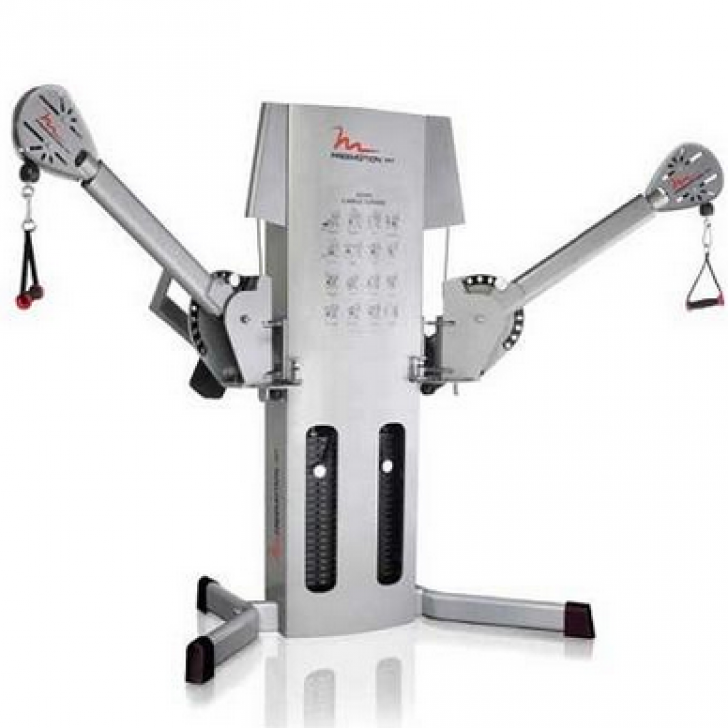 The FreeMotion EXT Dual Cable Cross offers users versatility and durability from the company that innovated selectorized functional strength training equipment. Straight from the health club, the FreeMotion EXT Dual Cable Cross offers users versatility and durability from the company that innovated selectorized functional strength training equipment. cable	 3/16-inch rated to 2,000 lbs. Features	 Independently Rotating Arms. Swivel Pulleys. Industrial Construction- Ankle Cuff.